The deadline for online registration is today, March 31, at 9 pm! Click here for workshop details. 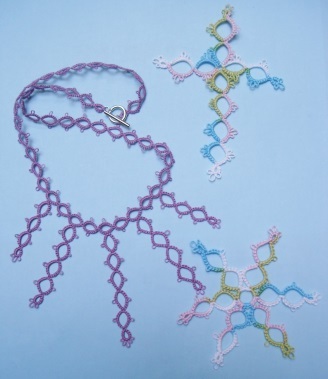 Join us for a tatting adventure. Registration will be accepted via e-mail, mail, and at the door, but this is the last day to get the early bird deal. Beaded Beautiful with Davina Achen This class is full. 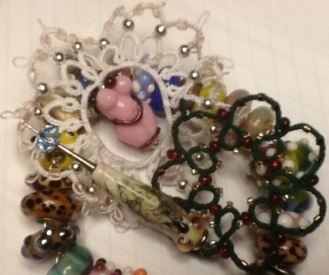 Come explore the various ways to use beads within tatting. 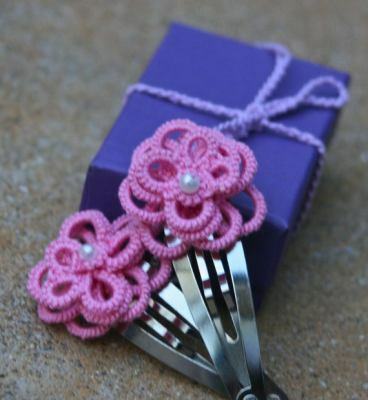 Make 3D flowers using a single shuttle for these adorable hairclips. 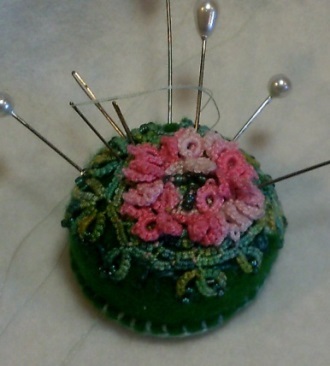 Create a lotus flower and lily pad to place on a small pin cushion. Learn how to make a string of rings that begin and end at the same place. 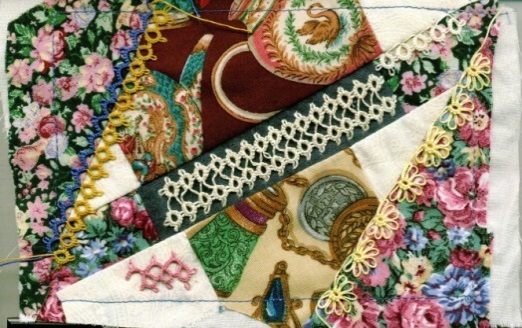 Embellish a crazy quilt block with tatted lace and beads. 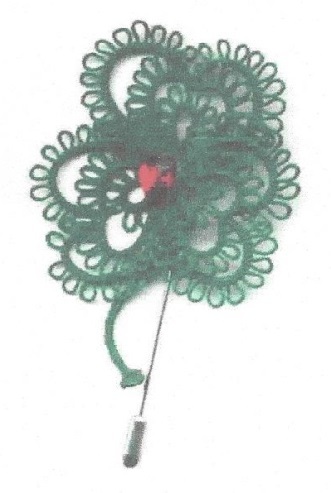 Using a picot guage to make measured picots, tatters will create a shamrock motif. TIme to assemble the night lights you have been working so hard on. The Unwind After Class Club with Mary McCarthy – Take time to unwind, finish up a project, and/or swap techniques with fellow tatters. I get to enjoy a class at this point in the workshop. I look forward to learning new techniques. 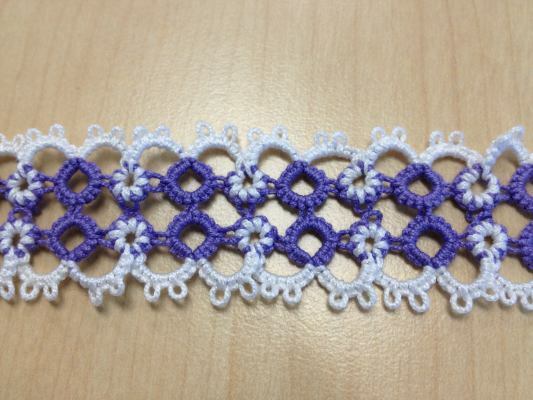 Come make some wonderful tatting memories with a terrific group of tatters! 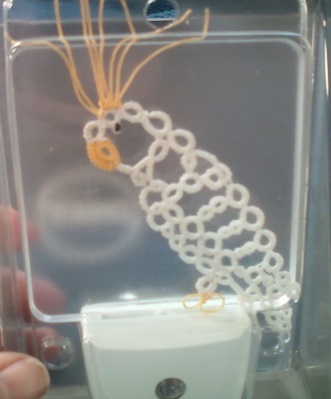 Make new friends and learn new techniques while sharing your tatting with others! Workshop registration information can be found here! Happy Tatting! 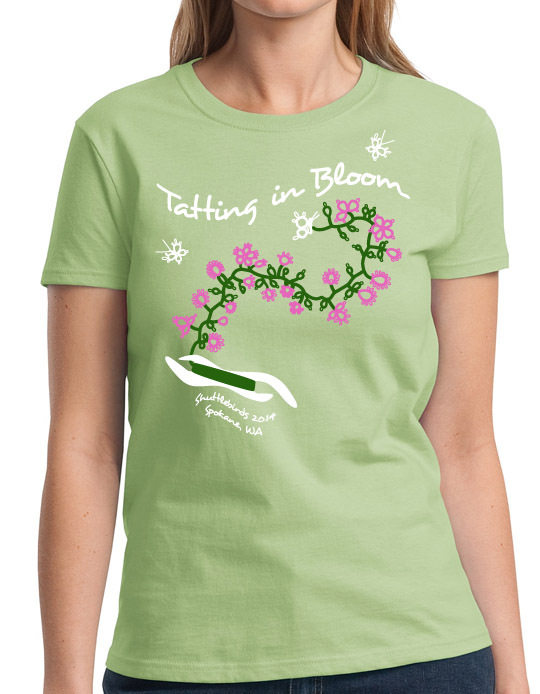 International Tatting Day is tomorrow, April 1st. How will you celebrate and what will you tat? Leave a comment below and let me know! I plan on bringing some spare shuttles, loaded with size 3 thread, to teach a few co-workers the basics at lunch. 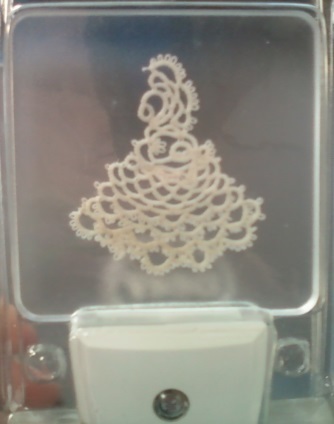 I will also be wearing some of my tatting. A lucky fifteen will have the privilege of attending Georgia Seitz’ all day Self-Improvement Course. Her class is full, but there are many more options for the rest of us to pick from. 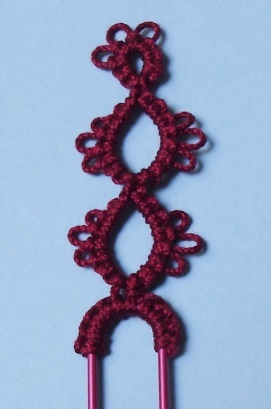 Twisted Tatting Bracelet with Jessica Spaulding. She will be demonstrating a two color ring technique. Cockatoo Night Light with Cheryl Birch. She will be her class through a night light project that features a cockatoo based on Jane Eborall’s pattern. Shuttle Savy with Davina Achen (my talented co-blogger). She will be covering various tips and techniques to make your shuttles uniquely yours. 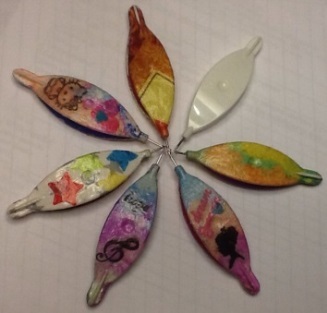 Pearl Tatted Bookmarks with Lauren Snyder. 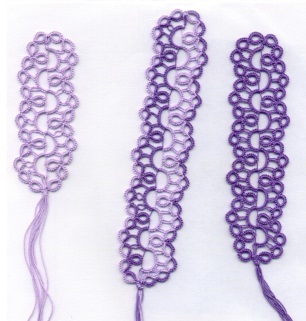 This lovely pattern uses pearl tatting and split rings to create unique bookmarks. Half-Closed Rings with Jean Reeves. She will be teaching how to tat over half-closed rings to create split rings with a single shuttle. Double Zinnia Petals Motif with Karey Solomon. 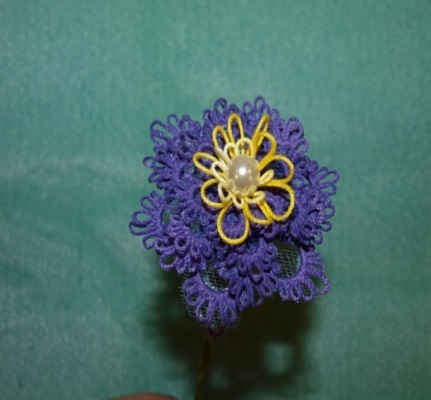 She will be demonstrating how layered tatting can add texture to a piece without causing it to become technically complicated. Dahlia Flowers with Sally Biggers. She will be using an adaptation of Linda S. Davies’ Pom Pom Dahlia pattern to create a layered 3D flower. 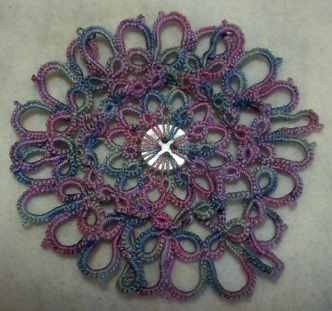 I do hope that you will consider joining us for a wonderful weekend of tatting! Keep an eye out for posts on the rest of the classes (or click here to see them all for yourself without the wait).